I am glad to introduce you Fancy Gallery as wordpress plugin. It comes with an outstanding AJAX admin and a lot of features. You can create unlimited of galleries and every gallery can hold unlimited of albums. You can add different types of media – Images, Video, Websites to the albums. One of the biggest feature is the Generator. It allows to use galleries, you created in wordpress, on external websites. The generator creates the code for the head and body tag and all you have to do is to copy and paste it in. VERY EASY! 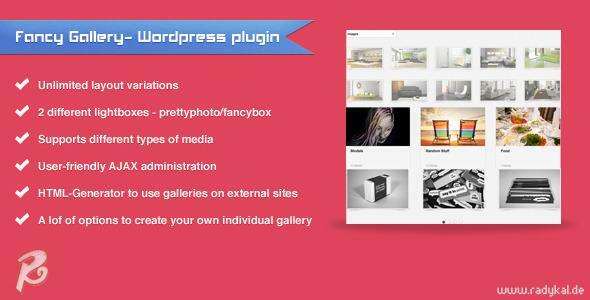 Share the post "Fancy Gallery WordPress plugin"